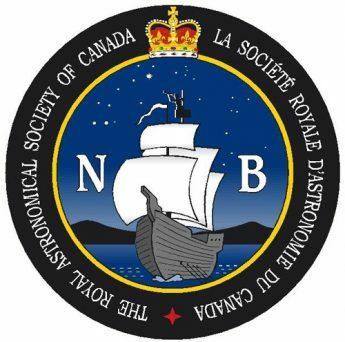 About the Saint John Astronomy Club is an overview of the Saint John Astronomy Club, our meetings and activities. Welcome to the Saint John Astronomy Club. We meet the first Saturday of every month at the Rockwood Park Interpretation Centre in Saint John – long weekends sometimes excepted when we meet the following weekend. The meetings start at 7:00 PM and generally run 2 – 3 hours. The meetings are always informal and are open to anybody interested in talking about Astronomy. 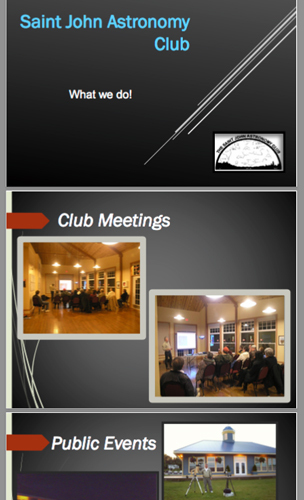 Club Meetings are usually a combination of presentations prepared by club members and discussions initiated by group individuals. Meetings loosely follow the itenary below. ~Project Updates – discuss and update any current projects undertaken by the club. ~Sometimes we manage to work in some Observing time after the meetings–weather permitting. Our membership includes a wide composite of expertise, from individuals who just have a desire to observe the celestial bodies to experts in such fields as physics, optics and telecommunications. They are all eager to assist and answer any questions. Click here to download our club brochure. If you are in the area during any of our meetings, please stop by and share your experiences with others.